In July of 2008, I had the pleasure of interviewing Terrie Bittner, author of Homeschooling: Take a Deep Breath - You Can Do This! Terrie is a freelance writer and author who homeschooled her three children all the way through high school. Here's Terrie Bittner's advice for new homeschoolers, experienced homeschoolers, and moms of special needs and gifted children. When did you start homeschooling, and how old were your children at the time? I started homeschooling in 1982, when my oldest daughter was ten. We did it for about a year and a half, and then she went back to school for a while. The next year, after a few months in public school, all three children decided to homeschool. The two youngest were in second and third grade at that time. Why did you start homeschooling? My oldest daughter was very gifted. She was reading novels long before kindergarten. However, she also had learning disabilities. Schools weren't able to understand the concept of being both at the same time and eventually, school just wasn't working out for her. She was too far ahead in many areas, but needed accommodations to help with the physical act of writing. The younger children were also quite advanced, and were bored with school. Their principal agreed with me that teaching them at home would be better, since there wasn't a good program for children as advanced as they were. What advice do you have for homeschoolers who are teaching gifted students? Children aren't equally gifted in all areas. A child might be brilliant in reading and history, and terrible in math. Plan your subjects according to how the child is doing in each individual subjects, which means he might be doing college work in reading and fifth grade work in math. Don't expect evenness. Don't underestimate. I had my children working lower than they should have been. When they were tested by the public school one year, I was startled to realize they could do far more than I realized. Push the boundaries sometimes and find out what happens. Gifted children, especially if they were in public school for a while, will often try to get by with work that's too easy. How did you teach your children? What materials did you use? I happen to love making lesson plans, so I did a fairly structured school in the earlier days. I didn't know anything about homeschooling-it wasn't common then and we didn't have the Internet. I had no idea how others were doing it, or even if anyone else was doing it. I created my own lessons from materials bought at school supply stores, found in libraries, or from our own extensive collection at home. I was addicted to school supply stores and generally followed a thematic pattern. Later, when the children were self-educating, they made a list of books they wanted and we obtained them. Occasionally, they also attended public school part-time. We did a lot of reading and writing and they often worked with mentors. Do you have any tips to share with moms who make their own lesson plans? Don't get carried away. I am very fond of elaborate plans I can't possibly carry out! I had to try to learn to keep it simple. Unit studies make everything easier because you can combine subjects. When I read a children's novel or a history book, I'd underline anything that could be used in a unit study--a science idea, a historical event, and so on. Then I flipped through the book to look for those underlined items and gather them into a plan. Always study something you enjoy, too, so you'll have fun creating the plans. I did all my themes around history, because it's my favorite subject. Avoid public school textbooks--they are filled with errors. Use "real" books instead. They're more fun and more accurate. In your book, you mention your struggle with learning disabilities. What advice do you have for moms who are homeschooling children with special needs? Once the children were home, I barely noticed the disabilities. We always taught in whatever way each child learned best. When you're using the child's learning style, disabilities aren't too much of a challenge. I experimented until I found the right technique. We used computers, which helped with small motor issues. My advice is to be patient and flexible. If something doesn't work, try something else. LD kids will know something perfectly one day, and not know it the next, so don't get frustrated. I personally like labels. When I learned as an adult I had learning disabilities, it was such a relief. I'd believed I was stupid. Don't be afraid of the label-it's just a tool. I believe an LD person can do anything anyone else can do, but we have to work harder and do it differently. You also mentioned that it's okay for homeschoolers to be average or behind. How do you feel about the academic pressure that is placed on homeschoolers? I think it makes people feel they're failures if their children aren't three years ahead. I understand we have something to prove to the world, but there are enough of us now that we can begin to present ourselves as ordinary people with kids in all the usual ranges. In some states, homeschooled children who are behind can be forced into public school. We're held to a much higher standard-can you imagine what would happen if any publicly schooled child who was behind could be forced into homeschooling? It's time to be realistic about homeschooling. It gives children the best possible chance to succeed, but it doesn't guarantee results. What do you think it takes to be successful at homeschooling? More than anything else, it takes fierce determination. You have to be willing to fight through burnout and discouragement, so you can make it to the days when everything is perfect. There are lots of those, but they aren't every day. A sense of humor about yourself helps, too. I get through the bad days in life by poking fun at myself. How should homeschoolers measure success? Since homeschooling is very individual and self-paced, a homeschooler needs to simply measure one child against himself. If he's making steady progress, learning to love learning, and building family relationships, he's doing well. I wouldn't worry about whether a child finished the book, but rather, whether he understood what he did do in the book. There's always next year. What was the best part of homeschooling your children? My answer changes regularly. However, the children are grown up now, and I really think I'm most grateful for having had so much time with them before they went into the world. I love when I see signs of their excitement at learning, knowing I gave them that. I taught them all to read before they ever started school, so I really love catching them with a book in their hands. They're all readers. My biggest challenge was myself. I didn't believe I could do this, and that insecurity made me push too hard and it caused me to not notice, sometimes, how much fun it was. It's why I try so hard in my writing to encourage parents who are discouraged. I wish I'd had more fun every day. Sometimes it was fun, and sometimes I got panicky about results and forgot to have fun. What would you go back and change if you could? 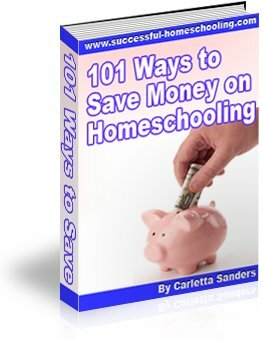 When I started out, I had no idea how homeschooling worked, so I just did it my way. Later, when it became more popular, and I began to meet other homeschoolers, I got caught up in the unschooling pressure. Parents are often ridiculed for doing structured learning. I switched to unschooling and while it worked fine, I wish I hadn't done it. I was never comfortable doing it. Homeschooling needs to fit your own style, no matter what is "in fashion" at the moment. I loved teaching, and I'm sorry I gave it up. What advice would you give newbies who are just beginning their homeschool journeys? Start slowly. Don't try to do everything at once. Take your time and explore how you like to teach and how your children like to learn. Have fun and appreciate it as it happens. You think they'll be little forever, but they won't. What advice would you give veterans? Encourage the beginners. Help them feel okay with their choices and don't push your ideas off on them. There are days when we get tired and burnt out. Slow down, skip school and go play one day. Teach something weird but fun, something nearly impossible to explain on your reporting forms, like the sociology of chocolate. Start preparing your children to be life-long, self-directed learners. Teach them how to teach themselves. What changes have you seen in homeschooling since you started? I started in the pre-internet days when homeschooling was rare and weird and the first question wasn't about socialization, but legality. I had met one homeschooler in my entire life and thought it was a strange local thing. I didn't know any when I decided to do it. I envy today's parents, with so many ways to connect to homeschoolers and get support. There are more books, more materials, more things to join. It was sort of fun to be in on something before it was "in," though. What are your children doing now? What are their thoughts about homeschooling? My daughters are both married (answering the socialization question.) One is married to a soldier and working on her black belt in martial arts. The other is in college. My son is currently working while he saves for college. How they feel about homeschooling probably changes regularly, the way my feelings about my own childhood change from time to time. Sometimes they love that they did it because they were free to learn what they wanted, and sometimes they wish they'd been traditional, especially if they're trying to sign up for something that supposedly requires a diploma. I think that will be true of any child. I often wish I'd been homeschooled, but since I wasn't, I have no idea which way was better and which ever way I'd done it, I'd have wanted it the other way. I can honestly say that Terrie Bittner's book, Homeschooling: Take a Deep Breath - You Can Do This!, is one of the most honest, practical, comprehensive resources I've found for new homeschoolers. For more information, visit Terrie's website, Treasured Time for Homeschoolers.